If you are reading this article it is very likely that you have a difficult to treat tennis elbow (lateral epicondylitis). As you have probably been told by your health care provider, this is an inflammation of the tendon attachment (the Extensor Carpi Radialis Brevis) at the outside bony prominence of the elbow, the lateral epicondyle. Whatever it is called, your elbow hurts. As your elbow continues to hurt, you maybe researching for more aggressive treatments than the ones you have been prescribed, you may even be exploring surgery. In this article we will discuss why your Tennis Elbow problem has become chronic, problematic, and difficult to treat. We will also offer possible treatment solutions utilizing regenerative medicine injections such as Prolotherapy and Platelet Rich Plasma injections. In this article we will also discuss when these treatments may not be as effective as hoped and how they may work better in your next treatment. “Tennis elbow” is a common condition, however as a diagnostic reason for elbow pain, the term “Tennis elbow” is often overused and can cause confusion in treatment. If you are a patient with chronic elbow pain, and the treatments are not working, you will likely be confused. There is no confusion to you that you have pain in your elbow. If you have pain on the outside of the elbow, and you tell your health care provider that you routinely use tools that require grip and force, such as a hammer, or you do a lot of typing at a keyboard, or you do actually play tennis, or racquet ball, or do a lot of weight training, a likely diagnosis of “tennis elbow” will be immediately suggested. What will also be immediately suggested is the standard course of conservative care treatments. Rest, ice, Anti-inflammatories, elbow brace, etc. If you are reading this article, these treatments probably have not been effective long-term treatments for you. Why has nothing helped? Have you had the right problem treated with an appropriate treatment? If you have chronic pain, probably not. Let’s think about this. You went to your health care provider with your elbow complaint. The health care provider sees this as being a problem of degenerative tendon tearing and focuses on the tendon attachment to the bone. That is what you may have been told needs to be fixed. But clearly, if you are reading this article, you have already tried many ways to fix this and it is still not fixed. What else can be wrong? Perhaps your elbow problems started as a fraying and weakening of the ligaments. What if your elbow pain was more a problem of the elbow ligaments than the elbow tendons? Perhaps your elbow problems even started as a fraying and weakening of the elbow ligaments. The elbow ligaments hold the bones in place and in respect to each other. What if the loose ligaments caused the strain on the tendon by allowing excessive elbow instability? The tendons, trying to hold the muscle to the bone would be put under stress and begin fraying. Has anyone addressed the ligament problem? Many times a patient will come into one of our clinic, curious about this talk of elbow ligament injury and it being a possible solution to their elbow problems. When we ask them, has anyone talked ligaments to you? A great deal of the time they report, NO. This is unfortunate because the elbow ligaments provide structural stability to the elbow. The elbow’s radial collateral ligament supports the outside of the elbow. It holds the upper arm bone, the humerus, to the forearm bone, the radius. The ligament attaches at the lateral epicondyle (YES, that bony notch on the outside of your elbow) of the humerus to the head of the radius. This ligaments main function is to prevent the elbow from suffering from excessive varus (hyper-extension). What if this ligament is damaged? In its weakened state can it prevent hyper-extension? Can it help the tendons not be stressed? The radial collateral ligament also supports the elbow’s annular ligament which encircles and keeps the radius bone in place as you rotate your forearm. 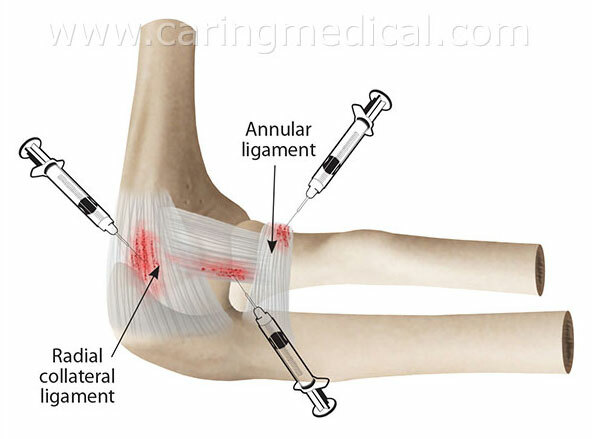 If either of these ligaments are weakened or damaged they impact each other and do not protect the elbow from excessive and unnatural movement. This creates stress in the whole elbow. The most famous ligament of the elbow sits on the inner side, the “Tommy John Surgery,” ligament the ulnar collateral ligament. If this ligament is damaged, it too can create unntural stress on the other side. Did anyone discuss the ligaments of the the elbow in treatment options for your Tennis Elbow? “The data demonstrate that NSAIDs, physical therapy, bracing, and shockwave therapy provide limited benefit for treating Lateral epicondylitis. Biologics such as platelet-rich plasma and autologous whole-blood injections may be superior to steroid injections in the long-term management of Lateral epicondylitis. Although the initial results are promising, larger comparative studies on stem cell injections are needed. For refractory (difficult to treat) Lateral epicondylitis, open, arthroscopic, and percutaneous techniques are all highly effective, with no method seemingly superior over another. Arthroscopic and percutaneous approaches may result in faster recovery and earlier return to work.” For some surgery may be an option, but this is a last resort. 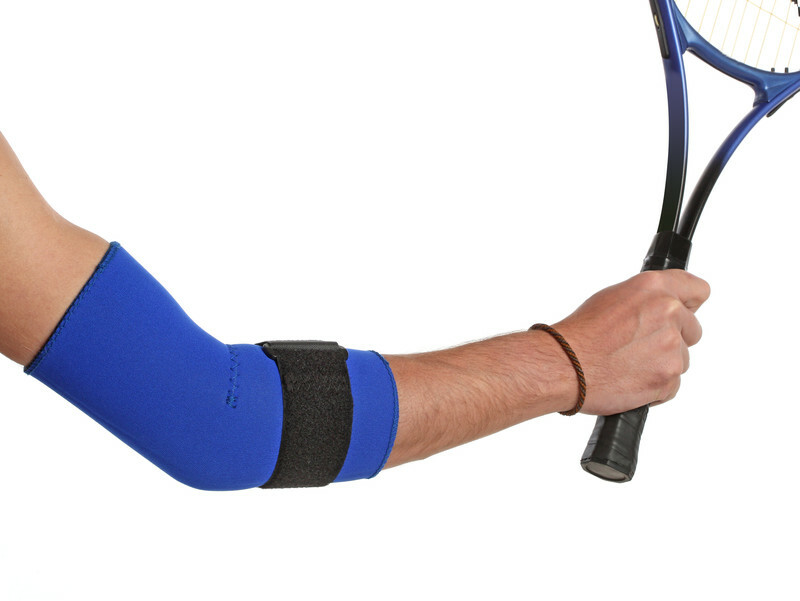 There is a great debate going on on the effectiveness of kinesiotaping, forearm bands, and elbow sleeves in helping patients with tennis elbow problems. Part of the debate is at what point do these things help and at what point do they not help. One study in the journal, Physiotherapy theory and practice, (2) from the Hong Kong Polytechnic University was very strong in its assessment that elbow kinesiotaping was not effective at all for tennis elbow patients. pain intensity, pain-free grip strength, maximal grip strength, and electromyographic activity of wrist extensor muscles. To be fair, other researchers have supported the short-term use of kinesiotaping for tennis elbow patients. These are patients however who have newly diagnosed or onset of tennis elbow of less than 12 weeks. In January 2019 a study from Marmara University School of Medicine in Turkey published in the journal PM & R : the journal of injury, function, and rehabilitation, (3) found that: “Kinesiotaping in addition to exercises is more effective than sham taping and exercises only in improving pain in daily activities and arm disability due to lateral epicondylitis.” In other words, as a tape and brace, it helped people with symptoms, BUT, kinesiotaping does not reverse or regenerate soft tissue damage in the elbow. Eventually taping, and for that matter braces, bands, and sleeves, will not help at all. This is when surgery is typically explored. Recently, a lot of research has centered on arthroscopic tennis elbow surgery. However, the American Academy of Orthopedic Surgeons suggests that up to 95% of tennis elbow will resolve without surgery. Why so much research if the surgery is recommended to only 5% of people? This odd circumstance may be explained by a study lead by the University of Ottawa which questioned a possible over-excitement by doctors in recommending arthroscopic tennis elbow or an elbow tendonitis surgery procedure. In an ongoing study, the research team is comparing arthroscopic surgery for tennis elbow vs a sham or fake surgery. Now we are going to talk about the ligaments. The importance of ligament strength and flexibility in elbow instability cannot be overstated. What they are suggesting is what our practice has discussed with our patients since the days of Dr. Hemwall almost 70 years ago, tennis elbow (or elbow pain as it was known back then) is a whole joint disease caused by instability, you must treat the whole elbow. 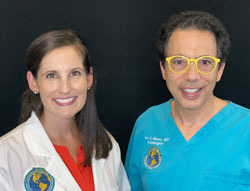 Twenty-five years ago when Ross Hauser, MD, took over the practice, that message never changed. The presence of intra-articular findings (problems within the elbow) that may complement the extra-articular pathology (problems from around the elbow) in lateral epicondilytis has been suggested, and a role for minor instability of the elbow as part of the causative process of this disease has been postulated. So the Italian team devised two new tests aimed at detecting intra-articular pathology in patients affected by recalcitrant lateral epicondylitis and investigate their diagnostic performance. Ten patients suffering of atraumatic lateral elbow pain unresponsive to conservative treatment were considered in this study. 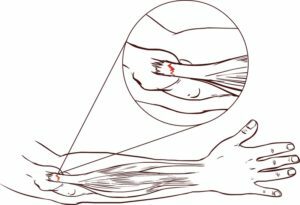 Posterior Elbow Pain by Palpation-Extension of the Radiocapitellar joint (PEPPER). In 90% of the patients, at least one test was positive. All patients with signs of lateral ligamentous patholaxity (ligament laxity of weakness) or intra-articular abnormal findings had a positive response to at least one of the two tests. SALT proved to have a high sensitivity but a low specificity and is accurate in detecting the presence of intra-articular abnormal findings, especially synovitis. PEPPER test was sensible, specific and accurate in the detection of radial head chondropathy (bones problems). Two new diagnostic tests (SALT and PEPPER) were specifically designed to evoke pain from intra-articular structures. These tests could be a valid support in the diagnostic algorithm of recalcitrant lateral elbow pain. Positive findings may be indicative of a minor instability of the lateral elbow condition. The keyword is stability. The excitement exhibited by the above research about instability is something that Prolotherapists have discussed for decades. Weak ligaments lead to joint instability and tendinopathy, strong ligaments lead to pain-free joint stability and healed tendons. David Rabago, M.D., and researchers from the University of Wisconsin published a wonderful study in the American Journal of Physical Medicine & Rehabilitation (7) evaluating the use of Prolotherapy for tennis elbow. Ultrasound-guided Prolotherapy with dextrose-morrhuate sodium solution (sodium salts and fatty acids of Cod Liver Oil). or watchful waiting (“wait and see”). The grip strength of the participants receiving Prolotherapy with dextrose exceeded that of the Prolotherapy with dextrose-morrhuate and the wait and see at 8 and 16 weeks. Satisfaction was high; there were no adverse events. Our research results for treating tennis elbow at a Prolotherapy charity clinic were analyzed and reported. In this study, patients were treated with dextrose Prolotherapy. pain. The Hackett-Hemwall dextrose prolotherapy gave 64% percent of patients greater than 75% pain relief with 94% of them having 50% or more of their pain relieved. 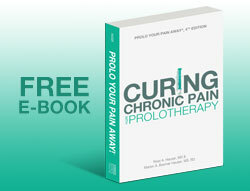 One hundred percent of the patients stated their pain and their life was better after prolotherapy. Prolotherapy works on a simple concept: reignite the immune system to heal by causing targeted inflammation (the natural healing process) at the spot of the injury. This is achieved by, in most cases, injecting a simple sugar (dextrose) at the pain generating “trigger points,” in the elbow. Strengthen ligaments and tendons, stabilize the elbow, strengthen the elbow, and end the elbow pain. 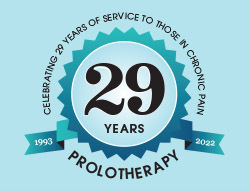 The pain alleviating aspect of Prolotherapy is also well documented. Platelet Rich Plasma Therapy utilizes growth factors from your own blood, injected into the elbow to stimulate healing. The idea behind Platelet Rich Plasma Therapy (PRP) in treating tennis elbow is initiating the inflammatory response. Tendons throughout the body, including those implicated in lateral epicondylitis such as the ECRB (Extensor Carpi Radialis Brevis), heal more slowly than most other types of tissues partly due to a poor blood supply. The inflammatory response brings blood. In a study published in Journal of science and medicine in sports, doctors looked at Autologous blood injection, a treatment where a patient’s own blood is injected into the site of injury to get the blood platelets at the wound in comparison to cortisone. Autologous blood injection differs from Platelet Rich Plasma. In PRP the blood platelets are separated out in an attempt to give a more effective treatment by making the plasma “platelet rich.” Autologous blood injection is considered by many a less effective form of PRP. The doctors also compared polidocanol, an injection treatment that is often given to irritate the immune system to repair varicose veins. 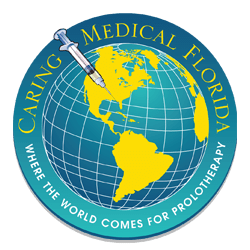 Polidocanol belongs to the field of Sclerotherapy, “irritation medicine.” Prolotherapy is also part of the field of “irritation medicine,” and at one time Prolotherapy was called Sclerotherapy. So it can be said in this study we have a less effective means of PRP and Prolotherapy being compared to cortisone injections. In contrast, at 26 weeks corticosteroid patients were significantly worse than polidocanol. Corticosteroid injection produced greater reduction in tendon thickness and vascularity than autologous blood at 4 weeks only. Compared to autologous blood, polidocanol reduced tendon thickness at 4 and 12 weeks. Like autologous blood injection, PRP is prepared using a sample of the patient’s own blood. This is why patients may refer to PRP as “tennis elbow blood injections.” This blood is then centrifuged to separate the liquid and solid components of the whole blood. PRP contains 3 to 10 times higher concentrations of platelets in comparison to autologous whole blood. While several major clinical studies have promise in the treatment of difficult to treat tennis elbow, a major limitation in the evaluation of the efficacy of PRP in the treatment of lateral epicondylitis and other musculoskeletal diseases is the way with which PRP is prepared and administrated. (15) You have to go to a doctor who knows how to use PRP. It is much more than a simple “blood injection”. PRP injection was the best treatment for reducing pain after 2 months whereas autologous blood was the best treatment for improving disabilities scores. The doctors looked at 102 patients in the study and divided them into two groups of 51(50%) each. Below is a brief review of the seemingly overwhelming evidence that PRP is a superior treatment. Treatment of patients with lateral epicondylitis by steroid could slightly relieve pain and significantly improve the function of the elbow in the short-term (2 to 4 weeks, 6 to 8 weeks). PRP appears to be more effective in relieving pain and improving function in the intermediate-term (12 weeks) and long-term (half year and one year). “[Therapies studied included] glucocorticoid, botulinum toxin, autologous blood, platelet-rich plasma, polidocanol, glycosaminoglycan [hyaluronic acid is part of this family], Prolotherapy, and hyaluronic acid. Glucocorticoid injection was no more effective than placebo. Prolotherapy and hyaluronic acid were both more efficacious than placebo. But between the two – only Prolotherapy met the criteria for low risk of bias.